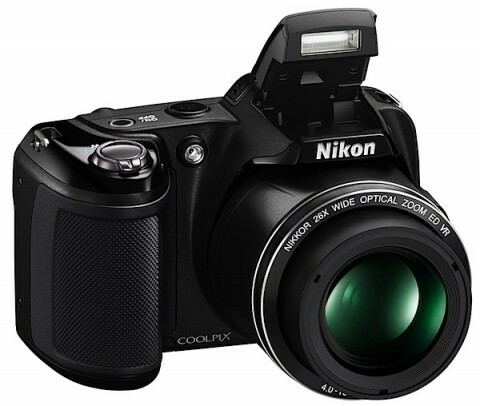 The Nikon Coolpix L810 is a compact camera with a 26x optical zoom that has a body with styling reminescent of a traditional SLR camera. 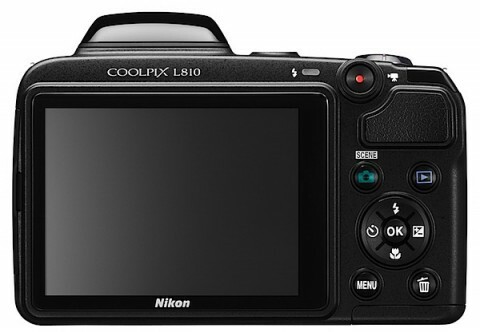 The Nikon Coolpix L810 is the Nikon L-series flagship camera and it is very easy to use even for beginner photographers, thanks to its many automatic functions. 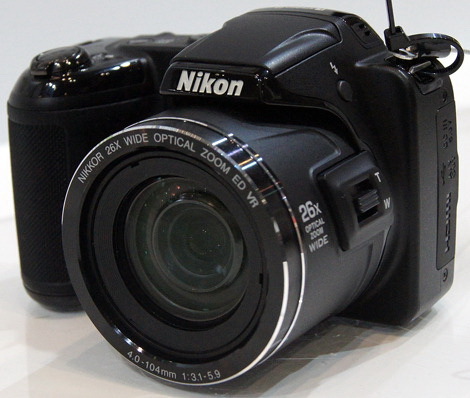 The Nikon Coolpix L810 has also a 16 MP CCD sensor, an EXPEED C2 image processor and a 3-inch LCD monitor with 921,000 dots. This camera is capable of recording 720p HD video with stereo sound and can be used with AA batteries. 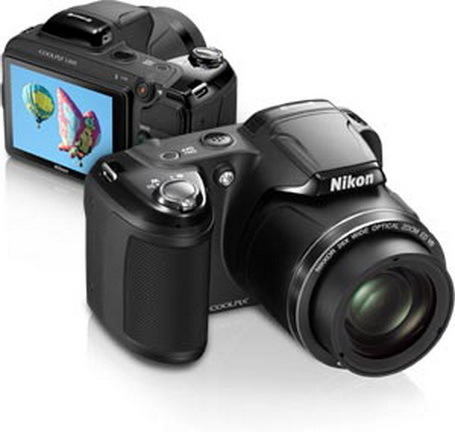 The Nikon Coolpix L810 has a generous hand grip which is rubberized, making the camera very easy to hold. 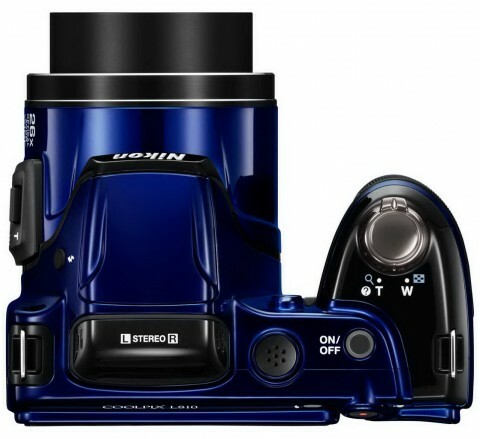 The Nikon Coolpix L810 offers 19 scene modes and Nikon’s Smart Portrait System which allows even beginners to achieve good portrait photos. The L810 is also capable of 3D still image photography. Red eyes are corrected automatically and Blink Detection warns when someone has their eyes closed. The Coolpix L810 is available in black, blue, bronze and red. 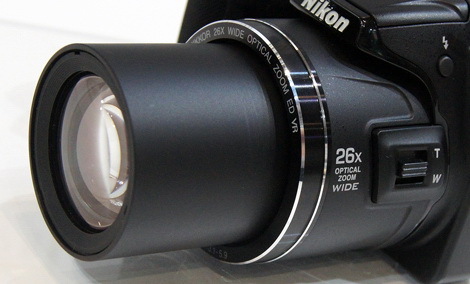 The Nikon Coolpix L810 powers up in two to three seconds. A half-press of the shutter release button is enough for the camera to determine exposure and focus. A full 16 MP resolution JPEG is committed to memory in two seconds, which is respectable for this class of camera. 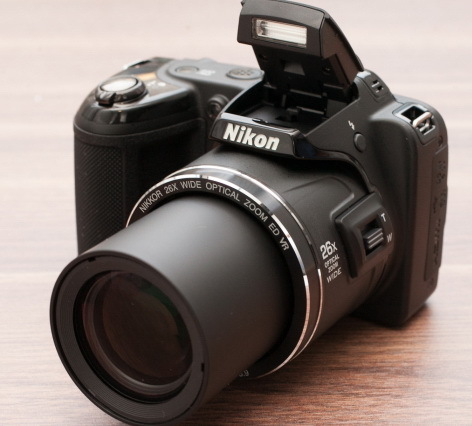 More about these things you can read on Nikon Coolpix L810 review by techradar.com. 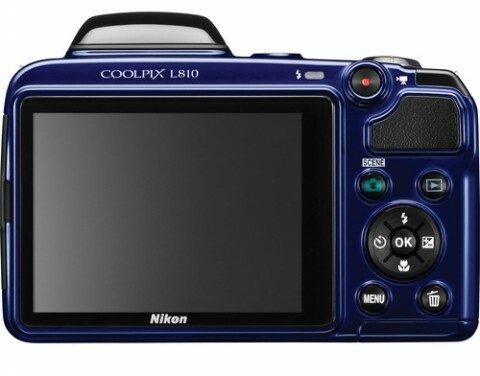 The controls and menu system of Nikon Coolpix L810 are fairly uncomplicated. The menu system is broken into three tabs: Setup, Movie and Shooting. The basics of shooting a photo or movie are easy with this camera. More about design and use, you can read in a short Coolpix L810 review from reviews.cnet.com website. Low ISO gives a good performance with smooth results and sharp edges. Colour starts to close in at ISO 800 with definite noise in darker areas and creeping into the mid-range. More about image quality of Nikon Coolpix L810 you can read on photographyblog.com website. Another Nikon Coolpix L810 review comes from digitalcamerainfo.com website. This website notes that body construction and design of L810 are quite similar to the P510, minus a tilting rear screen and electronic viewfinder. The rear control layout is also slightly different, and lacks both a control dial and a rotating dial.